While we are in the capital of Bangladesh, Dhaka, we started to look out how to apply for Indian visa. In Bangladesh, there are only 2 cities where foreigners can make Indian visa. Dhaka and Chittagong. There are 2 websites where we looked for needed documents, fees and all that. As I look back at them I’m still confused. There are so many points not well organized. Usually are needed just Application copies with photos and photocopies of passport and visa of country you are in. Well it’s much more complicated here in Bangladesh. After all lookout we made all documents we could and with them went to the Indian Visa center. The women there made a list of needed documents and ordered to come next day. The fee, which has recently slightly increased for an adult Polish is 9 7944 in total, and for a child up to 12 years is 9 544 such, while the lady in the window several times emphasizes that there is no payment anywhere outside, and pay for it, there where do you file your documents. As always, the first thing you need to do when applying for an Indian visa is to complete the online application. And here, the regulars of India extending their visas in neighboring countries usually turn to the broker’s office, which are many to chose in the vicinity of the visa center. 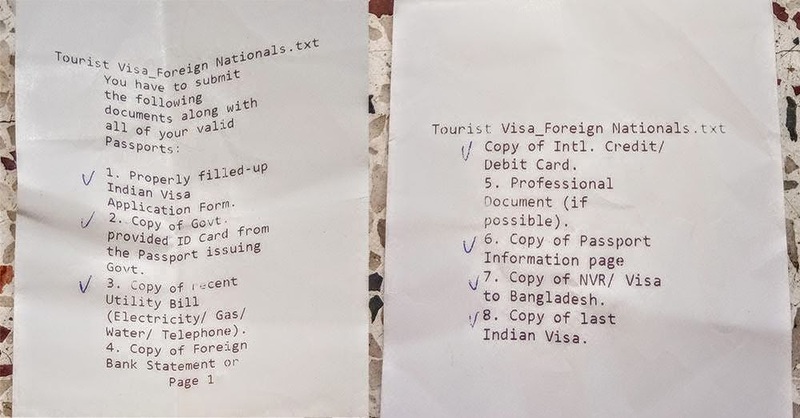 Bangladesh site of the Indian visa center, however, recommends not to use the services of visa agents, and patiently complete the application at home. addresses below, so that you do not have to search them when completing the application. Also visit the toilet, take a cup of tea, take a shower and do all the other activities necessary to sustain life in your body, because the form’s activity time is limited. If it happens that the form does not go any further, what does it look like you have to correct some data in one of the windows, and after reloading there is no option that you have to choose from the drop down menu, you have to be patient and do everything from scratch. Sometimes several times … Yes, I had it at the first stage of the form – in the drop-down menu, the tourist visa has disappeared and has only been transit. Make sure that captcha characters are exactly what they should be, that is, small ones. and then carefully rewrite captcha symbols. Personal data should be the same as the one you provided before, applying for an Indian visa. At the same time, make sure that they are consistent with the data provided in your passport. Have you been refused an Indian Visa or extension of the same previously or deported from India? At each stage at the top of the page, the temporary number – your visa application – is displayed. It is worth having it somewhere saved. If something does not go then you can log in and continue with your application instead of starting again. At the last stage you will be taken to the site where you have to check – do it carefully! – all your given data. Then upload your photo to the form. The print option will allow you to save the application in pdf format and print it later somewhere out along with copies of your documents. When writing this text, I used the already completed application, so not all the questions are in order. Read the post and keep it open “just in case”. On the printed application, glue the picture and sign it in two places: under the pasted photo and on the last page on the bottom right. For children, you sign yourself (as a parent). Usually we applied for 6 months but as we looked trough website we sow something about 12 so we made a risk and wrote in the application 12 months which would be glorious. Not to think about visa for a whole year, just travel. 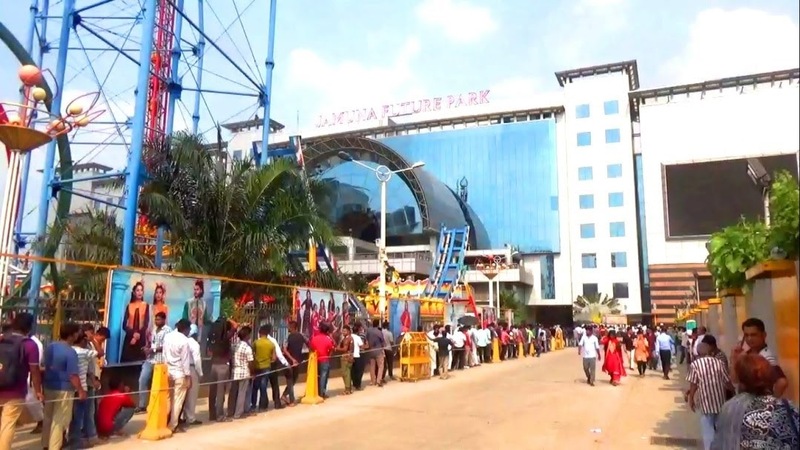 There are four Indian Service Visa Centers in Dhaka, of which only one is issuing visas to foreigners: Jamuna Future Park – a visa office located in a large shopping center in Gulshan, Dhaka district. You can get there by bus from the other side of the city – for example from Gabtola, where we live – for 30 Taka. The queue is for the citizens of Bangladesh. As a foreigner you go to the entrance and after showing your passport you are allowed to enter security. The whole process for 6 person took 1 hour. We had to wait 7 days, but at the end it was 2 weeks as visas were not ready.